Via Rick Hasen, here’s a year-old chart from the Center for Responsive Politics showing the rise in campaign spending by undisclosed donors over the past six years. 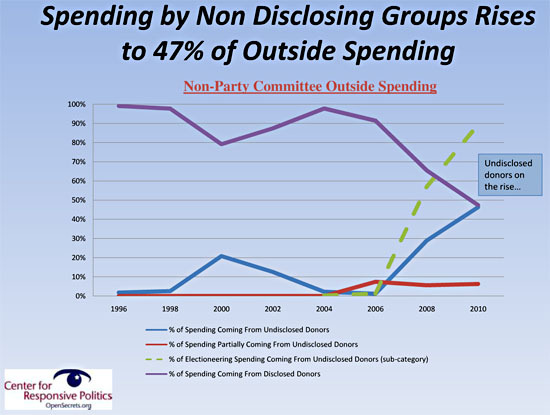 In 2006, less than 10% of spending by outside groups came from undisclosed donors (blue line + part of red line). By 2010 it was up to 47%. This year it’s almost certainly even higher. Full set of slides here.